theZoomer: Television For Boomers With Zip! Nearly 40% of Canadians Polled Struggle with their Financial Future - theZoomer: Television For Boomers With Zip! As adults, we are continuously warned about the importance of focusing on our personal finances. Yes, it’s great to make money, but it’s even better to take that money made and have it grow thanks to smart investment strategies. Unfortunately, though, many Canadian adults have a tough time figuring out how to make their money work for them in the long run. 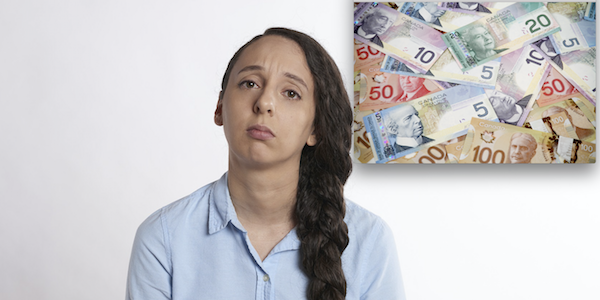 “A great number of Canadians lack clarity in terms of preparing financially for the next chapter of their lives,” said Kelley Keehn, author, personal finance educator and FDSC consumer advocate. What’s especially troubling is how many of those surveyed had doubts about their future financial situation. In all, 39% stated they were “unclear” about their long-term financial goals, while a troubling 49% had no idea how much money should be stashed away for retirement. Keehn went on to explain that it is “critical to have a financial plan” and that seeking the assistance of a certified financial planner is an important step to take. For some us, a corporate pension plan plays a significant role in our future financial health. However, not all pension plans are created equal, or will actually make it into the pockets of a worker. On a recent episode of “theZoomer,” host Marissa Semkiw discusses diminishing corporate pensions with CARP’s Wanda Morris, lawyer Avi Kaplan and pension group members Michael Powell and Patrick Mousseau. You can watch this episode below.